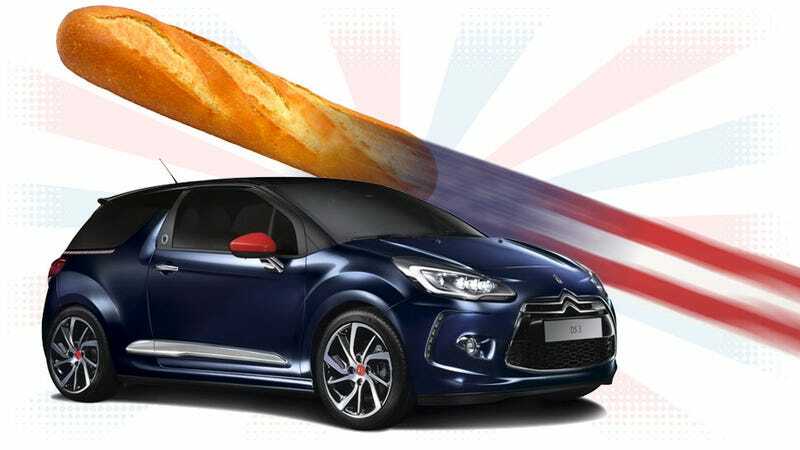 French automaker PSA Peugeot Citroën today confirmed that they are, in fact, plotting a return to the United States after being gone for decades. But not in the way any of us expected. I went through three very clear stages when I first encountered this story: elation, frustration, and then hope. If you’re like me, a person who has dreamed of a triumphant return of gloriously quirky French cars to return to America’s shores, I think you’ll find yourself going through these stages, too. First, let’s cover the elation part: PSA is absolutely planning on some sort of return to America. Remember, Peugeot has been gone since 1991 and Citroën since 1974, and there hasn’t been a Gallic presence in the American car market since. The return plan, called “Push to Pass,” has three stages, according to reports. Stage one, staring as soon as next year, would have PSA return to the US market in the context of a “mobility operator,” or, less jargon-y, a car-sharing service, CEO Carlos Tavares confirmed to investors today, according to an Automotive News report. Still, Tavares’ plan for the U.S. market was pretty scarce of details. It is one part of a broad “Push to Pass” program outlined Tuesday to build upon a two-year recovery that has seen PSA swing from near-bankruptcy to its highest profitability in 14 years, with the help of a rescue from the French government. PSA has formed a team to study the U.S. market, customer and regulatory requirements, but selling vehicles in the U.S. would be just the third step in a three-step plan, Tavares said. The first step is “to start as a mobility operator from 2017, possibly with Bollore,” Tavares said. Bollore is a French diversified group that builds batteries and electric compact cars mainly used by a car-sharing program in France called Autolib. That’s the frustrating part, since we won’t be getting what we want quite yet. But if this first stage of the car-sharing service goes well—and those shared cars are not likely to be PSA cars with the possible exception of the limited, test-case use of whatever Bolloré-based cars they bring over—then in the second stage PSA will bring (I guess federalized?) cars from the three brands, Peugeot, DS, and Citroën, for use in the car-sharing fleets. I sort of hope they look exactly like these models. Now, the hope bit. If all that goes well, and they get a good response to the PSA cars used in the car-sharing service, then, and only then, will they actually start to bring over PSA cars to sell, set up the required dealership networks, and taking that huge, exciting step. “If we are successful as a mobility operator, from there we will have the opportunity to put in our own fleets of cars, as soon as they are compliant with US regulations. Of course those fleets will remain under our control, as is normal in car-sharing activities. We will be able to ensure that our own cars are meeting the expectations of the local consumers,” explained Tavares. The DS premium brand is expected to be the focus, providing a (hopefully) novel alternative to a mostly German-dominated segment. I hope they would consider bringing cars from across the PSA range, like the amazing Cactus or maybe one of those Peugeot 308 R wagons. So, yes, PSA is planning on coming back to the US, but it’s not as simple or quick as many of us may be hoping. We’ll see how all this goes down, I suppose.